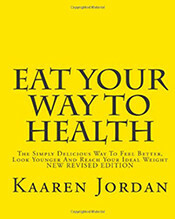 Hello - my name is Kaaren Jordan and I have maintained a holistic healthcare practice in California since 1986. For more than 25 years, I have enjoyed teaching my clients to create optimal health and well being through the understanding of balancing food choices with life style in conjunction with simple self care natural healing methods and Jin Shin Jyutsu acupressure. Over the years, I have worked with many people from all walks of life; and throughout my practice have had a high level of success helping people to regain their health through simple, natural means. Besides having studied various traditional Asian healing arts, holistic nutrition, and Western natural healing modalities for more than 27 years, the information I offer is also based on my understanding of the the work of Dr. Henry Bieler MD. 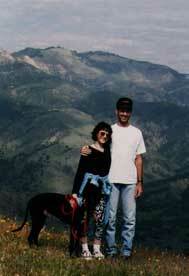 What I offer is a synthesis of decades of study blended with my experiences as a practitioner. For many years, Dr. Bieler helped thousands of people with very serious diseases using foods as medicine. His clients included famous actresses Greta Garbo and Gloria Swanson, who both maintained their health and beauty through natural foods. 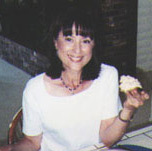 His student Eileen Poole, through her unique gift, has carried on this tradition helping countless people worldwide regain their well being through healthy eating. For more than 30 years I have been a client of Eileen's and it has been through my own process that I have experienced Dr. Bieler's wisdom. I feel most fortunate to have gained some understanding of the power of foods to change lives and to heal, and look forward to sharing this with as many people as possible. 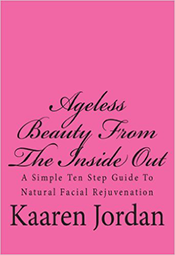 The information presented in my two books, "Eat Your Way To Health" and "Ageless Beauty From The Inside Out" is the essence of what I have learned and still practice. I now split my time between offices in Los Angeles and Solvang, California as well as traveling to teach workshops based on my two books. In order to serve a wider base of clientele, I also offer video SKYPE and phone consultations. As you can see one of my other passions is working with horses. Please take a look at my other website where I specialize in Saddle Fitting Assistance for hard to fit horses and for riders with special needs. I also do offer Jin Shin Jyutsu® consultations for Horses. Thank you again for visiting my site. I look forward to helping you, your family, friend, or horse, acheive health and harmony the natural way.